This is a new series focused on personal journey with eczema while managing a certain aspect of life. Today, we have Tiffany to share how she manages her daughter’s eczema whenever she tries on new clothing. Tiffany is a mom of two and very active in social media, see her interesting Pinterest board here. Marcie Mom: Hi TIffany, thanks for taking part in my new blog series ‘Someone has Eczema’! And I’m so excited about your aspect of life – trying new clothes, dressing our girls up! How did you discover that trying out new clothing is a trigger for your daughter? Is that the main trigger for her eczema? Tiffany: When we try on new clothes, she breaks out into a rash on her face almost all the time! I think there is something in new fabrics that triggers the eczema. However, if I wash it first and then put it on her, there is no reaction. 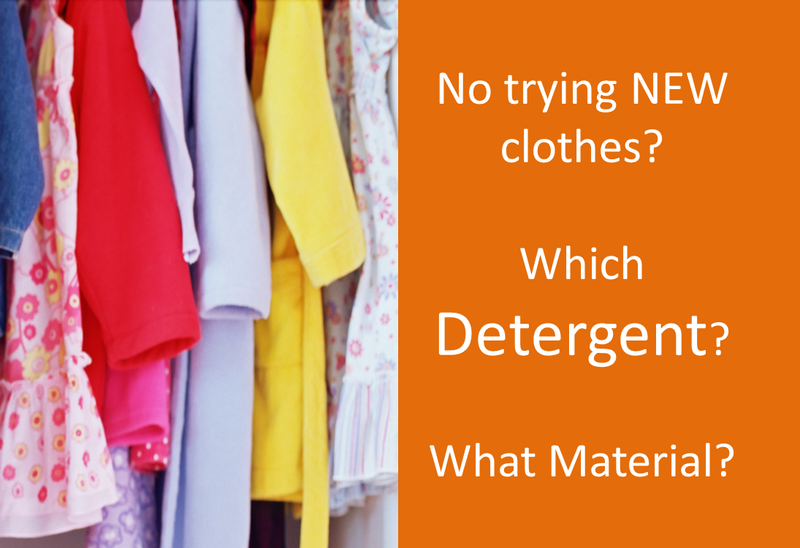 Marcie Mom: Is your daughter’s eczema triggered by clothes that have yet to be washed (new clothes in store) or by certain materials used in the fabric? Tiffany: I’ve been getting a mix but mostly 100% cotton clothing. I think it’s unwashed clothing that triggers it. Marcie Mom: What care do you take to wash the new clothes? And did you get certain type of detergent or washing machine? Or have to sun it or not put it through the dryer? Marcie Mom: One final question – have you ever been tempted to just buy without letting your daughter try the clothes or request for hand-me-down to get around this trigger? Tiffany: Yes, I have to buy without having her try it on but I would buy one in say a size 3T and then see if she fits after I’ve washed it. Then if she does, I can continue to buy without her trying on but I have to stick with the same brand. Marcie Mom: Thanks Tiffany for your sharing! It’s very encouraging to see how everyone of us overcome eczema in our daily life, and nothing should stop us from our shopping lol!